Over the last few years, Bluetooth’s growth has been extensively increasing. 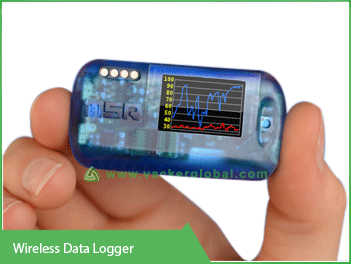 Bluetooth data logger is based on same method. Most of the consumers still think of Bluetooth as a wireless communication medium for cellphones to talk to headsets. Even though it is still largely true, Bluetooth is finding its way into more routine forms of communication such as data logging. Bluetooth is a wireless technology standard for transferring data over short distances. The data loggers with built-in Bluetooth will allow getting easy access to your data via standard and short-range wireless links. 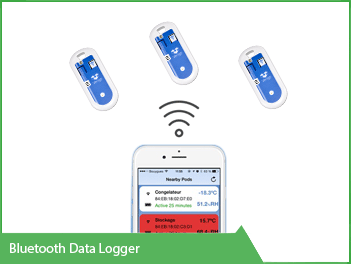 They will help you for easily configuring, monitoring, and downloading data from the data logger using your smartphone or tablet without a physical connection. 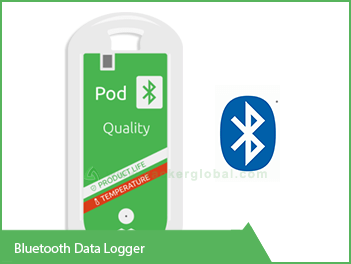 Bluetooth Data logger has several advantages comparing with other wireless technologies. It has very low power consumption for long life in battery powered applications. It is compatible with IOS and Android application for support on a wide range of devices. There is the main limitation of Bluetooth communication is the limited communication range typically 5-30 meters (15-100 feet) depending on the environment and receiving the device. 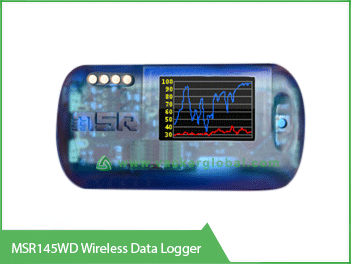 This MSR 145WD Bluetooth data logger measure and store over one million temperature, humidity, light, pressure and acceleration readings . This mini-logger is equipped with Bluetooth Low Energy and a bright OLED graphic display. There is an optional web-based service MSR Smart Cloud for data monitoring from any location. Measuring and recording temperature, Humidity, Light, Pressure and Acceleration together. OLED Display indicates in graph or data recordings. Using USB Cable and PC Computer Lithium Polymer Battery can be recharged. From the different loggers, the data can be merged synchronously into a single data record. 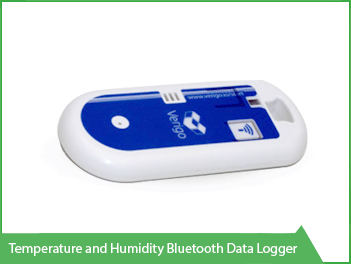 Verigo Bluetooth data logger is also called as pods. The pods will record and wirelessly transmits temperature/humidity data to the smartphones and tablets. 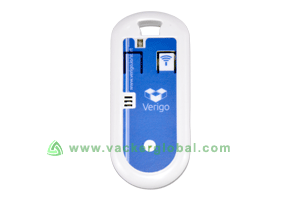 There is an application called Verigo app for viewing and downloading the data. The User can program their pods for each monitoring session by giving a description, scanning a product barcode, setting temperature/humidity levels. During use, the mobile app allows users to view all the pods up to 40 meters away in real time with their current temperature or humidity readings. The Verigo app has a function to email data as a PDF or CSV straight from your mobile device. All the recorded data is stored in the cloud automatically via Verigo’s secure Web App, allowing users back at the office to search all Pod data, view location points, and generate PDF and CSV files for data review and analysis.